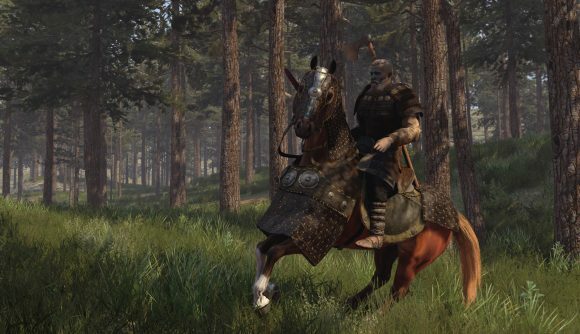 Everyone wants to know when Mount & Blade II: Bannerlord is coming out, including us. We asked Armagan Yavuz, lead developer and founder of TaleWorlds Entertainment, exactly that when we spoke to him at Gamescom. We weren’t surprised that he couldn’t provide a release date, but we were surprised to hear him reveal that the studio has spent the past several months working 80 hour weeks to bring the game to market. “It’s not that we have a release date but we are not announcing it,” Yavuz says. “Our philosophy is more like ‘we will release the game when it is ready.’ We don’t want to set a release date now and then miss it or delay it or postpone it. Mount & Blade II: Bannerlord was revealed back in 2012, and we’re coming up on the six-year anniversary of that original announcement. Every few months, we get a new bit of footage and some more gameplay details, but that one critical piece of information – exactly when the release date is coming – has been elusive. That means every announcement about the game has been met with fervent series of cries for release information from the game’s most rabid fans. After half a decade, their eagerness is understandable – as is the length of time it’s taking TaleWorlds to finish a game as ridiculously ambitious as Bannerlord. Yavuz’s comments about the studio’s current work week come pretty off-handedly, which is unusual given how wide and vocal pushback against game industry crunch has gotten over the past year. You may recall earlier this year when the developers of Warhammer 40k: Inquisitor – Martyr made similar comment about their work weeks in the face of delays and fan demands. They later said that statement was a joke, but given the realities of game development, no one was laughing. It’s tough to take Yavuz’s comments, however, at anything other than face value. I hope it’s a bit of exaggerated bravado in the face of everyone wanting to know when the game’s getting finished – but more than that, I hope we get to a point where 80 hour weeks no longer seem like an inevitably in game dev.